Indie is a term that’s increasingly coming under fire as everyone from Markus “Notch” Perrson to Ubisoft uses the term to describe their product. Originally, it just meant a game made by a small—sometimes one person—team with a limited budget, pursuing their own personal vision for what makes a fun game. The Escapists manages to still fall under that simple, initial definition, and feels like a proper indie title. person action that would feel right at home on a 1989 NES. As to whether the game is good or not, this is dependent entirely on your own comfort level with being left to your own devices. The game opens with a basic tutorial that teaches how the controls work, and gives you a ready-made, already-in-place escape plan so you can see one of the many possible ways to break out of jail. Once that tutorial is done, you’re on your own, and the game tells you nothing about how to play or what to do next unless you’re willing to spend in-game currency to get tips from a payphone, or, as many people will be tempted to do, reach for the nearest Internet capable device and start looking at guides. If you’re the sort that enjoys the heavily guided, hand-holding experiences of AAA games like Call of Duty or The Witcher III that give you waypoints, maps and side-quests to pursue, The Escapists will feel positively intimidating. You’ll have to learn to watch patterns, to search out potential escape points in the jail, to learn how to earn the goodwill of inmates, and try—through trial and error—to figure out which items can be “MacGuyver-ed” together to make tools to aid your escape. There’s an enormous amount of freedom, flexibility and experimentation in finding ways to use your environment and the people around you to effect your escape as you while away the days keeping track of schedules and movement patterns. The people that are going to enjoy this game the most are the kind that enjoy figuring things out for themselves. Because this game has already come out on the PC and Xbox One, and is only now coming to the PS4, plenty of guides exist on how best to approach the game. Doing this, however, defeats the entire purpose of The Escapists which is, like an actual convict, to use your own head and show some ingenuity in working the system to your advantage. It’s ironic that allowing almost too much freedom will probably be a strike against the game for some, but there are other design and control problems that keep the game from being a true classic even without its niche gameplay. The interaction button, for instance, is mapped to the same button as combat. This can result in fights breaking out in the cafeteria just as you’re reaching for food, as you inadvertently punch someone that sidled up beside you, resulting in the guards breaking up the fight, and you potentially losing any contraband materials you had on your person. The “figure it out yourself” philosophy of the game also extends to what should have been guided introductions to game mechanics, such as giving people objects they request when you take side-quests. 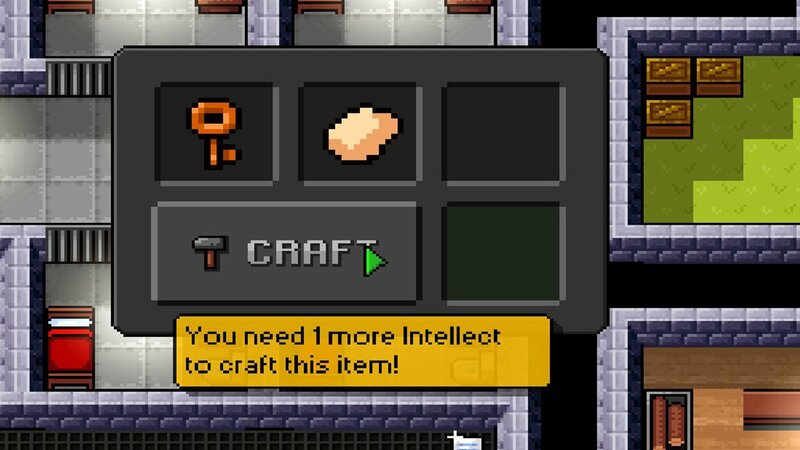 In The Escapists’ defense, it is, after all, an indie game. It didn’t undergo rigorous focus group or QA testing, and it’s not being published by Ubisoft, Activision or EA. Expectations have to be kept in check about how polished the game will be. 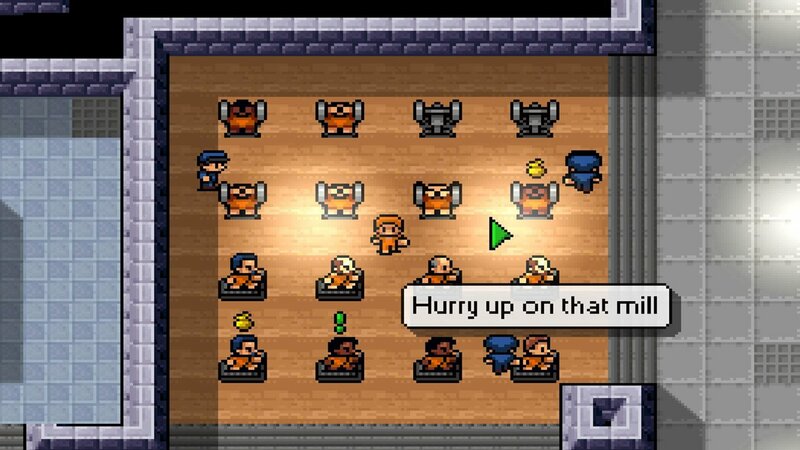 If you’re looking for a very different, very open ended, very “freeing” game about jail breaks, The Escapists will appeal to the experimenter and escape artist in you. It’s not going to hold your hand when it comes to enacting a brilliant escape from jail, but if you’re willing to watch, plan and be patient it’s a very rewarding—if demanding—game. There are still some design issues, but nothing that invalidates the unique experience it offers. 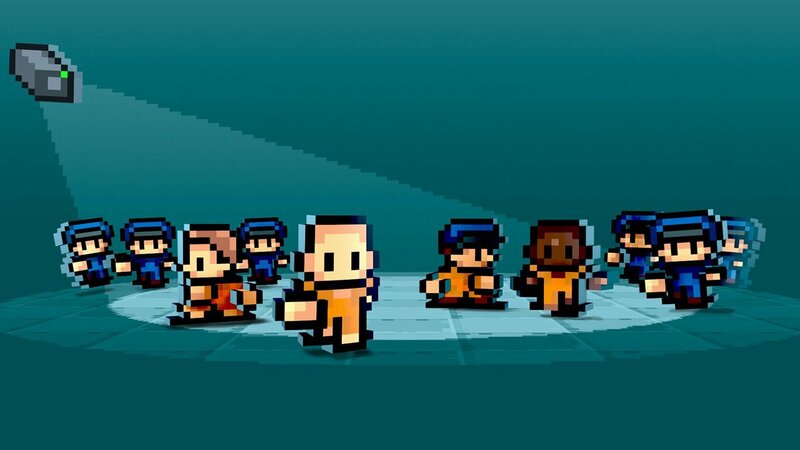 If you’re looking for a very different, very open ended, very “freeing” game about jail breaks, The Escapists will appeal to the experimenter and escape artist in you.